The Jaidka Cup Final between Bourne and Peterborough Town scheduled for this evening (June 28) has been postponed because of waterlogging at Bretton Gate. No new date has yet been arranged. Tonight’s Stamford KO Trophy Final between Ketton and King’s Keys has also been postponed. They will try again at Pit Lane on Friday, July 7. 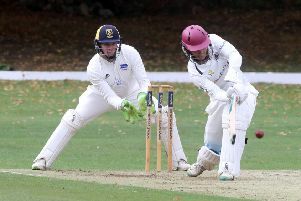 Bourne await the winners in the final which is scheduled for Market Deeping CC on Monday, July 10.